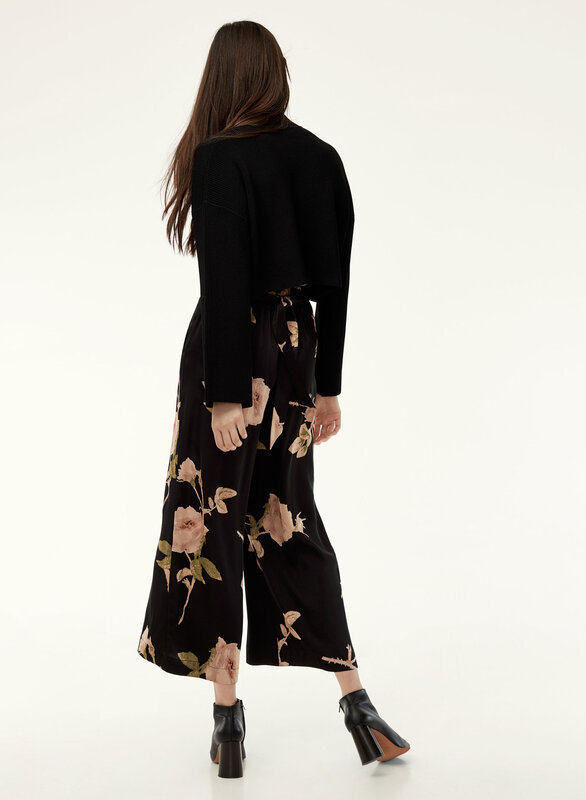 Styled with salomé sweater and durante jacket . 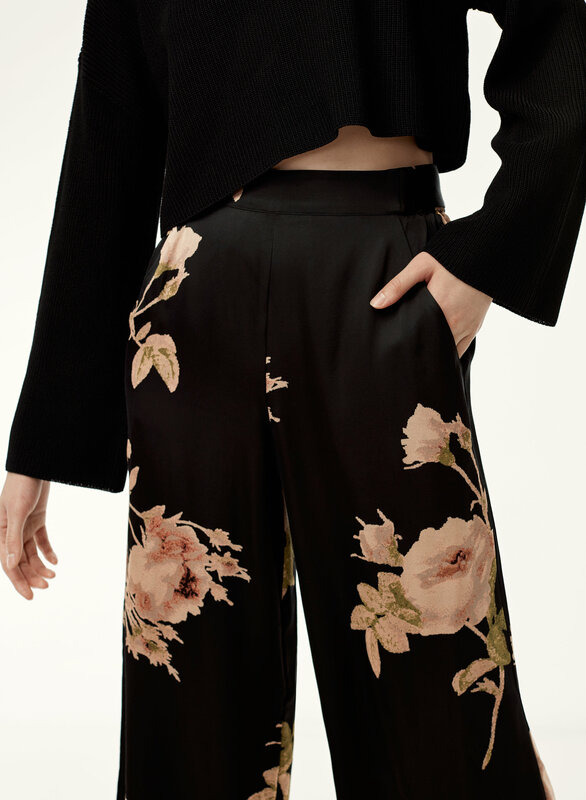 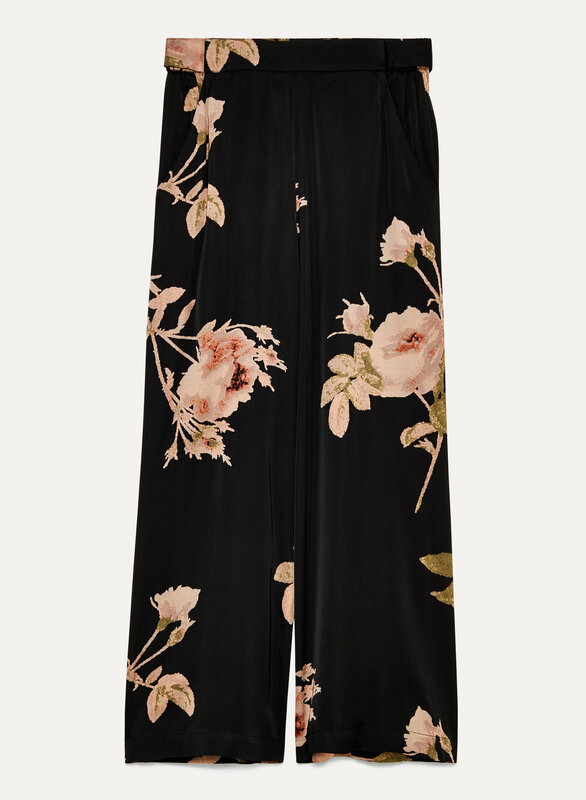 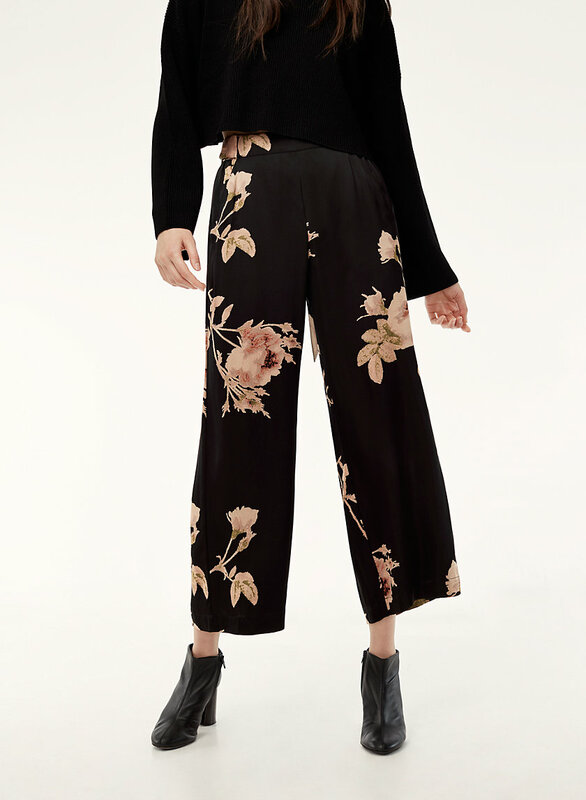 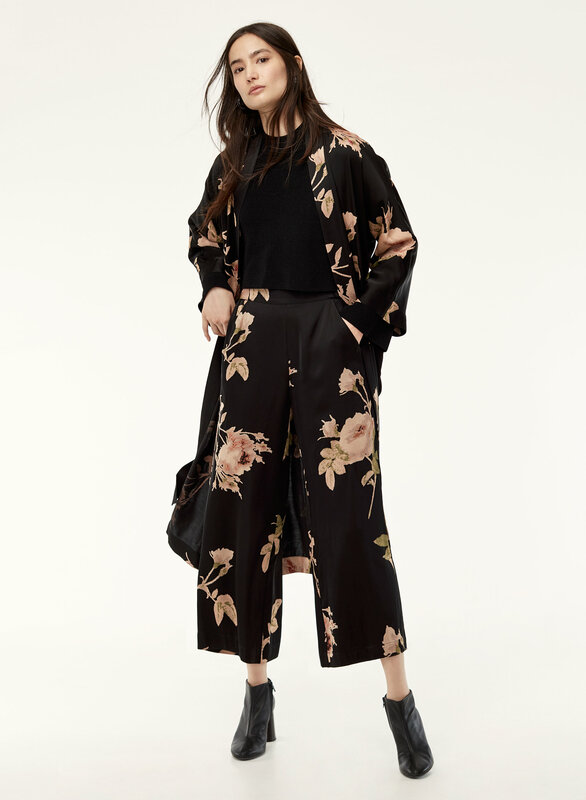 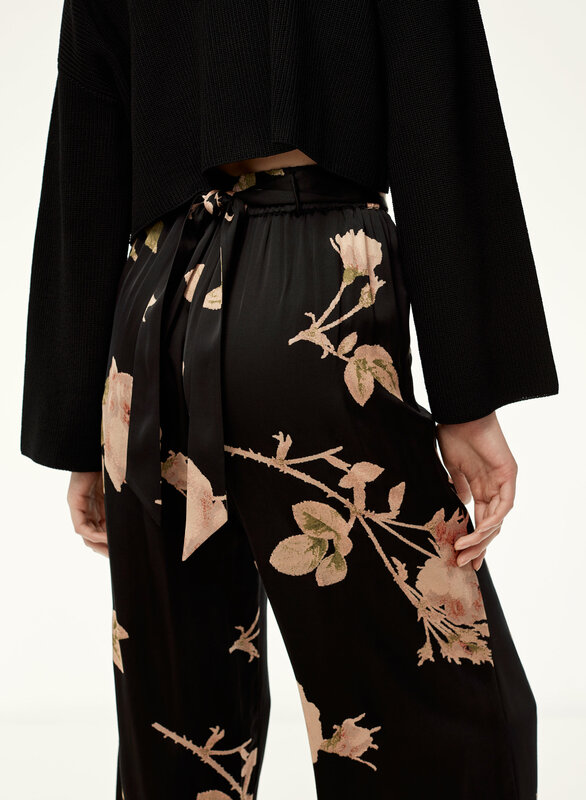 These wide-leg pants are made with a glossy satin that drapes beautifully. 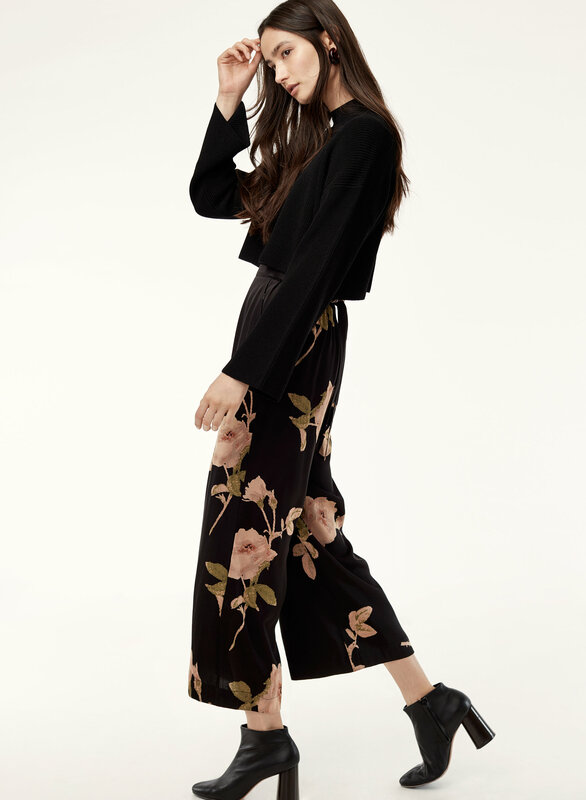 The high-waisted silhouette is matched with a subtle flare — fancy.